Lately, I have had my hands and schedule way too full. Our daily schedule involves speaking with at least two doctors/specialists a day, multiple evaluations, massive amounts of paperwork, class observations (volunteering is a great way to keep an eye on your own kid), interacting with teaching staff, and constantly considering how to adjust sleep, vitamin intake, dietary choices, and schedule to maximize the best functioning for just one of my three children. Attention Deficit Hyperactivity Disorder (ADHD) is a tricky thing in the middle of growth spurts, metabolic changes, classroom setting, sleep patterns, and any stress in the house. I can’t say I have anything figured out yet, but I am learning to be proactive, attentive, and flexible. In the middle of the crazy merry-go-round we are riding, my son was doing a school research project. For his poster, he had to choose a continent and an animal that lives there to blend the concepts of habitat and geography, with some zoology thrown in for good measure. Since we had visited Australia a few years ago when we lived in the Marshall Islands, he chose a kangaroo so he could happily declare how he had pet one! Well, actually, he went to feed it and accidentally stepped on its toes (yes, they have toes!). Know the feeling? When you go to help someone, but you unintentionally end up making it worse or, at the very least, have your intentions misunderstood? Well, I happened to be in the school library during one of the days the students were working on their continent/animal posters, and I caught Little Man, 9 years old, fascinated with several pictures in the book. He was so captivated, in fact, that I had to keep redirecting him to stay on task. But if I hadn’t stopped telling him to “stay focused,” “answer the right question,” and “finish up,” I would have missed what had him so enthralled: two kangaroos boxing each other. That’s right— boxing. They actually support their entire bodies on their tails while they aim two feet at their opponents at one time. (It’s true. I saw footage here.) That was Little Man’s fun fact of the day. And it’s what I felt our family had been doing for so long. Sometimes, we would sit on our tails trying to hold everything else up while we kick-boxed and punched at everything around us. Often, we would stop in the middle of something else we were doing and drop everything to go a couple rounds with the current battle or struggle that threatened to rob us of peace. Know what I mean? Ever been there? But, as it turns out, I don’t have to take a swing at all strife everywhere all of the time. I don’t have to do amazing balancing acts on my tail and whack at everything offering me the slightest look of menace or provocation, no matter what the challenge is before me. Because the Lord my God goes with me. He fights for me. I can rest in that. I can ask Him to take it and then show my trust by being still and waiting for Him to act on my behalf, as He promises to those who believe in Him. I might not be fighting Moses’s Egyptians, but the mountains ahead of me need moving. I cannot do it only in my own strength. And really, once we grasp that concept, it’s such a huge relief, isn’t it? He goes before me and levels the exalted places. Well, it sounds a lot to me like I don’t have to put up my dukes after all and break out in a sweat over everything that comes across my path. I can be diligent, and I certainly don’t want to be complacent, but it sounds like I can put my trust in God, a mighty and very capable warrior. When I believe and trust Him, He promises to remain close, go before me and with me, and remove obstacles from my path. If I really place my trust in Him, it also sounds like I can stop boxing kangaroos. Intrigued by Australia? Here is a wonderful guide on 100 Best Things to Do in Australia and also Our Aussie Adventure, a personal travel experience, written on my original blog site about life in the Republic of the Marshall Islands (and our travels in that part of the world). More on hypervigilance can be found here. *This blog is also featured at Your Tewksbury Today. **It can also be found at Grace & Truth Link-Up, Mom 2 Mom Link-Up #23, Pick Your Pin Tuesdays, and Simplified Life. Yes! Just yes. 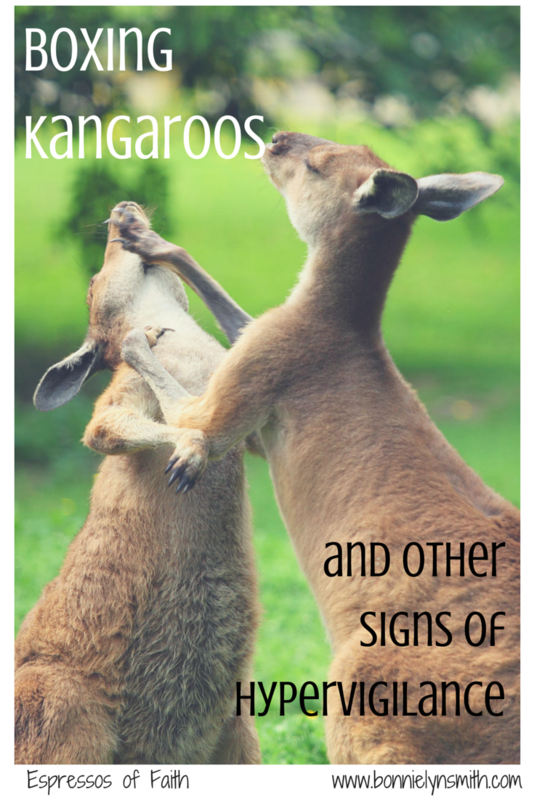 I have been not only a boxing kangaroo, but sometimes I’m actually both of the boxing kangaroos. Yeah, let that soak in for a minute. Thank you for the reminder that the battle is His, not mine. Carrie Ann: Thank you so much for popping by. It’s really something I have to keep slowing down and reminding myself of. Both kangaroos! LOL! I can relate! We are sometimes our own worst enemy. Blessings on your day! Thank goodness we have Him to fight for us because I am too tired to try to fight all the battles that life has thrown at me. Boxing kangaroos…too cute! Mary…praying for endurance, strength, grace, and comfort in your battles. It’s a relief to give it to Him, isn’t it? It gets to be too much for us to carry around. Ah… when will we ever learn that we don’t have to do all the work? I need to surrender more to Him, instead of kicking up my legs and pushing out my arms ALL. THE. TIME. 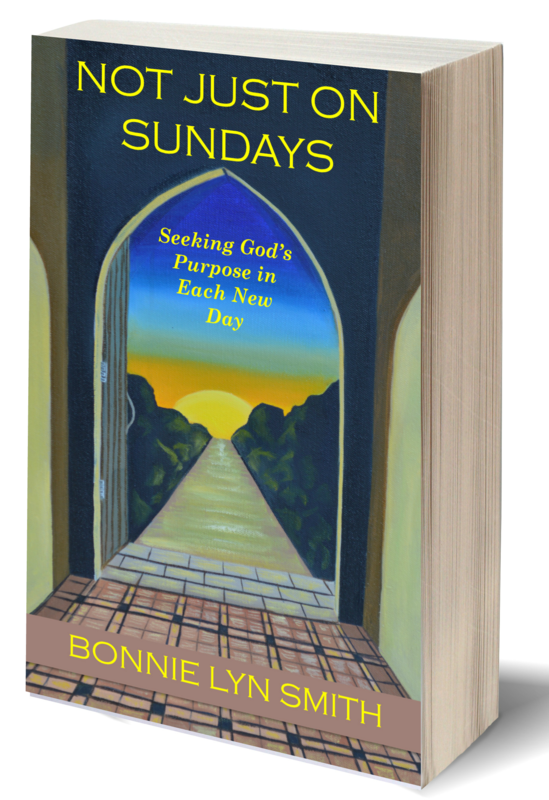 Love the message here, Bonnie!! Love these scriptures!!!! Thanks for the great post! I can relate! I felt I was boxing everyone, and sometimes perceived that way. However, even though I choose my battles, as we all must do at times, I realize I am trying to protect myself! So, though I do agree to this opposite side, there’s the other one that I’m doing for self, since God said that I shouldn’t be a rug. :) There’s a delicate balance and one I’m trying to still figure out, as this standing up for God/self is hard! Hi, Amy Lynne: I’ve had seasons where I box kangaroos nonstop. I understand. It’s good to get feedback from others during that time. You raise a great point that we must find the balance because standing up for yourself can be a hard challenge for many people, and it’s also very valid at times.